There are thousands and thousands of fossil sites across the earth and spanning geologic time. Here we offer information for but a tiny fraction of them, which are some of the most important, as well as those for which fossil images have been obtainable. Far less abundant are the so called Lagerstätten, rare places where very fine details and sometimes even soft tissue body parts across a diverse biota are preserved in the fossil record. 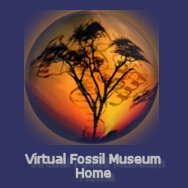 Click the links in the right-most column of the the table below for additional information about different fossil sites including site descriptions and/or galleries of fossils from the localities. Geological time period links within the table go to paleobiological information about the time period. Holocene (11,000 years to today) . Paleocene (65 to 54 mya) . Silurian (440 to 410 mya) Wenlock Series, U.K.